Word of caution. That's one use case that kills SSDs really quickly, depending on your usage. If you're just editing a video or 2 a day, it's not so bad. However, if you doing it as a day job, then be prepared for a shortened lifespan. A long time. 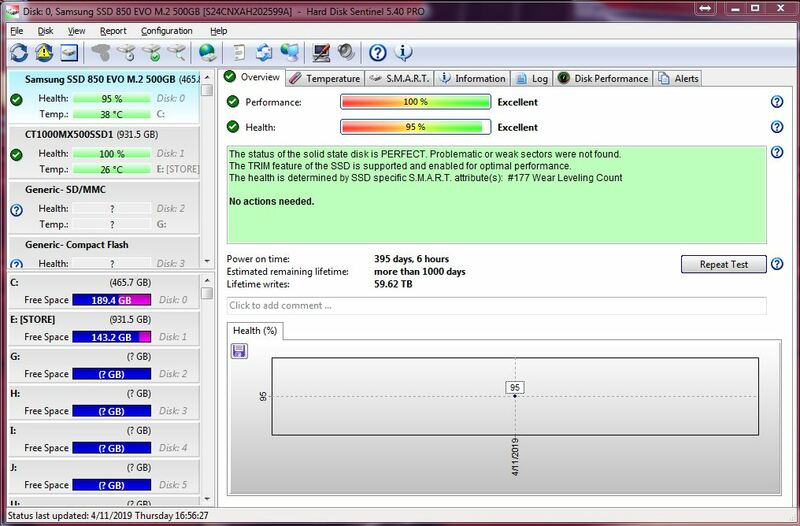 My SSD is 2 years old as of 2 days ago and with 7355 power hours and 1522 startups, it's still showing 99% health. Worth every penny. I got two M.2 Samsung SSD's in my Machine that I rotate every 4 months or so. For those of you who may be interested there are a couple of free programs you can download to test the health and transfer rates of your HDD or SSD. The names indicate which. Mark is the tests and info is the health one. I have installed both and Norton found them safe to run.